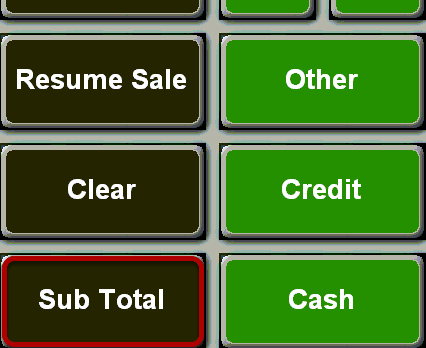 TravStar1 Point Of Sale SystemRegister Manual Basic Register TransactionsHow Do I Process A Transaction If The Customer Is Paying With A Check? How Do I Process A Transaction If The Customer Is Paying With A Check? This lesson will teach you how to tender a transaction when the customer is paying with a check. Touch the "Other" button which will take you to a screen where you can choose payment types other than just Cash or Credit. 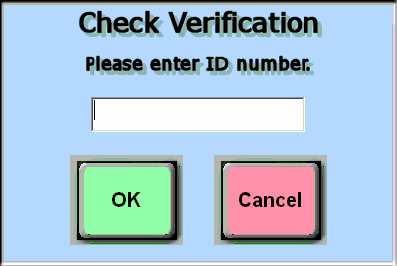 You will be prompted to enter a Check Verification number. This is something that is set up on the Managers Work Station and can be any identifying number such as a checking account number, driver's license number, etc. Once you have entered the Check Verification number, touch the "OK" button. If the Check Verification number is valid you will see a message that it is alright to accept the check as payment. 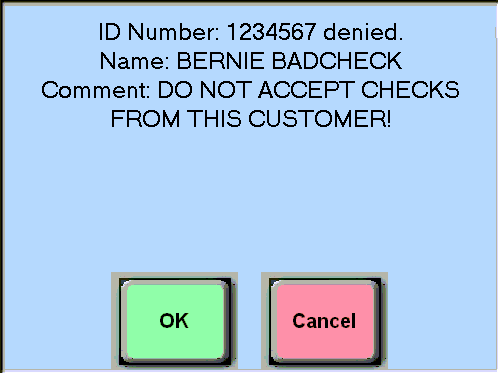 If the Check Verification number is associated with customer whose checks are not to be accepted on the Managers Work Station you will receive a denied message. You will not be able to accept a check as payment from this customer. Prev: How Do I Process a Transaction if the Customer Is Paying with a Debit Card? 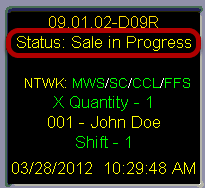 Next: How Do I Process A Transaction If The Customer Is Using A Coupon?